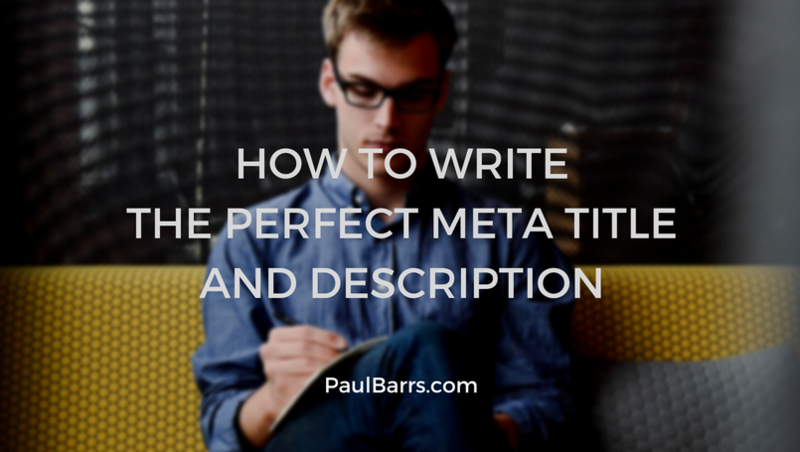 Learn the trade secrets of SEO’s best when it comes to writing a powerful meta title and description; both for SEO and customer conversions. Now, today I’m recording a video on how to write a good meta title and meta description. It’s actually for an internal training project, which is required, but I also wanted to be able to share it with you because this is a question that I come across time and time again through my workshops, through my seminars, and when dealing one on one with consulting clients. Is that something you’d like to know? Great. Well, stick around, grab your pen and paper, and take some notes. Here’s what you need to know. Number 1, a good meta title and a good meta description is based on good keyword research, not just keyword research but also competitive analysis. Let me explain just briefly. I’ve covered this in a previous video. When you do your keyword research, say through the Google Keyword Planner, and you come up with a whole bunch of search volume, obviously you’d cull out those that have low search volume, you’d cull out those that are not related to you, and you’d cull out individual keywords. You just keep the keywords phrases, the best possible ones. Once you’ve done all of that, you’ll end up with a grouping, perhaps 50, maybe 80 or so different keywords, phrases, 2 to 3, perhaps 4, things that people are actually looking for. Here’s the guide. You don’t always have to go for the highest search volume term in order to get good results. Sometimes you might find something with a lower search volume term is much easier and has a lot less competition. It’s still exactly what you do and it’s good for that page, but it’s easier and easier for you to get found. Does that make sense? Especially if you’re a growing business and you don’t yet have the systems in place to deliver a whole bunch of products or provide the support to a whole bunch of downloads. So always look for, I guess the phrase is, that lower hanging fruit to start with if you’re not getting opportunities yet. So you do that research. That’s the first part. The second part is to start grouping things together. 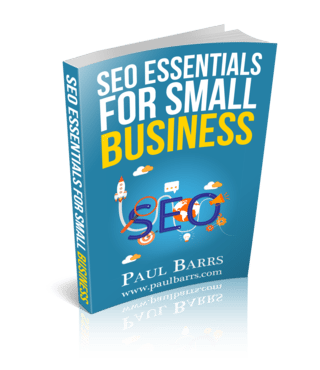 You will find in a list of 50 to 80 different keyword phrases there’s always going to be sort of topical things in there. Say for example, one topic there might be five or six or seven different keywords phrases. Now they’re all different, but they’re all pretty much saying the same thing. They’re all different or worded differently, but they’re all talking about the same topic. So you want to pull those out and make a note to keep them separate for later use. Here’s why. The second part of all of this is a good site structure. Yes, this is also important for meta title and meta description. You’ll understand as we go. Obviously, your home page title and description, they’re the most important. You pick out of your research your best possible opportunity, which covers the broad range of what you do. But then within that page structure, we also have primary content pages. Sometimes these might be category pages for a shop. Primary content pages, where we talk about a topic, not a specific thing, but a topic, and this is where, when we’ve pulled out of our research various keyword phrases on a particular topic, we can then choose the right one or the best one for our title and description. So if we’ve got about half a dozen, we’ll say six different keyword phrases on topic number A, we’re looking to write a good title and a good meta description for this particular topical page. So we look at those five or six and go, “Okay, this one is receiving X search volume, this one is receiving Y search volume, but this one is the best opportunity, easier, not so many people competing for it.” It would still be good to be position 1, 2 or 3 and getting roughly 500 or so searches a month, being on page 3 or 4 or 5, getting 1,000 searches a month. Do you see what I’m saying? Look for better opportunities. So then we can begin crafting and writing our meta title. Here are the rules. Take your best opportunity keyword phrase, and we’ll call that our primary keyword phrase. Take the second best opportunity, and we’ll call that our secondary keyword phrase. And as far as meta title, meta description goes, we only want primary and secondary. In your title, what you then do is, within that meta title, you take your primary keyword phrase and yes you put it right up front — here’s the, I guess, disclaimer — if you can still make a good sentence out of it. I want you to listen carefully. This is incredibly important. This is the difference between old-school SEO and modern SEO. Everywhere, everything that Google has been doing over recent years has been moving from old-school, keyword-focused SEO to modern SEO, user focused, which is what we’re working on today. So you must create in your meta title a good sentence. If that means you’ve got to have some kind of word or something in advance, you know, “the best” blah, blah, blah, or, “ways to find” blah, blah, blah, whatever that keyword phrase is, so be it, but you must make it a good sentence. Here are the rules. The meta title is about you. It’s about you and what you do. If you can get that primary keyword phrase and the secondary in the title, good for you, but not essential. Then the meta description, well, it’s about them. Here are the rules. If you have used your primary keyword phrase right up front in your meta title — it’s probably also the page URL — it absolutely should not be right up front in the meta description. Does that make sense? I mean this is easy stuff. It’s just common sense. But what you then have to do for a good description is write two or three sentences, like a mini paragraph, and of course have your primary keyword phrase in there and your secondary keyword phrase. So important, fitting well into a sentence, three or four of them. Here’s the thing. Mix it up. Don’t make it the same. You absolutely must not break any more the golden rule of having the same something here on this page, here on that page, here on that page, which means if you’re using a CMS of some sort and it automatically adds your website name, meta title, blank website name, you need to fix that up so that’s not happening on every single page or every single post. Very, very important that each page, each post, if you’re blogging and I believe you should be, are all 100% unique. Last couple of things. The meta title and the meta description, it’s what people see before they click through to you. It is so vitally important that you invest the time, especially on your primary content pages. These are the ones that sell you to people who don’t yet know you. They build trust, they build authority, they build belief that you are the right people, the right company to deal with. So you really must invest that time to do those primary content pages. Not so much time needed on maybe blog posts, smaller admin pages and so on, but absolutely on those primary content pages. Of course, meta title and meta description must be related to the content of the page. If it’s not, you have two different choices. Number 1, write your meta title and description according to the content on the page. But that just rules out the keyword research. Mm, that research, that’s everything. That’s success or failure. So my suggestion number 2 is that you write a good title, write a good description, and if need be rewrite the content on the page. Chances are that page wasn’t getting found in Google search anyway. What have you got to lose? Not much. So put in the effort, put in a little bit of time. These things are the places where people see you before they see you. They might see you on social media. They might see you on a link on another website. They might see you in the offline world, a business card, a publication, or something on signage on a car. But when they see you in search, you’ve got just seconds with that title and with that description to go, yeah, they do or they don’t want to click through, yes they will, or no they won’t. Of course, when they get there, the content, the sale, the conversion that’s a whole other story and another training video on its own. So perhaps if you have more questions, you can stop by PaulBarrs.com, get some more training. Or if you’d like help with your meta title and meta description, stop by MetaLength.com.au. It’s a new tool I’ve just put together to help you get the best possible results. MetaLength.com.au. You have a great day. I’ll talk to you again real soon. Bye-bye.